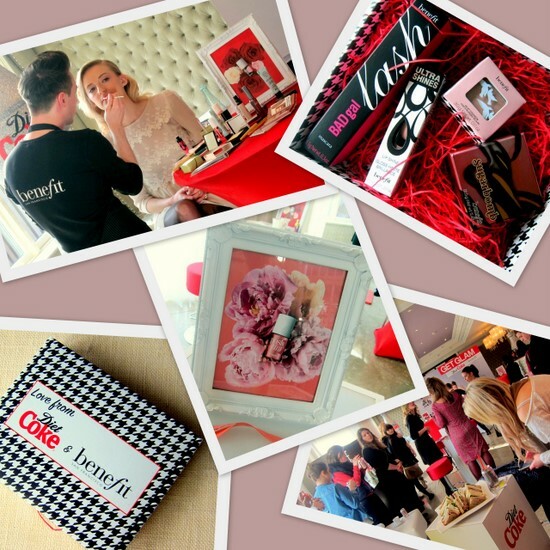 Win makeup kits worth €99 with Benefit and Diet Coke! In a genius move, Benefit have teamed up with Diet Coke on the Get Glam campaign which sees the introduction of three limited edition cans, each designed around one of Benefit's signature tints - Benetint, Posietint, and ChaChatint. Three makeup looks were also created for each of the Diet Coke 'Love It Light' puppets: rock chick, fashionista or modern romantic. And at the Get Glam launch last week the looks were skillfully recreated by Benefit's head make-up artist, Lisa Potter Dixon. But here's the really exciting part! Every half hour on www.CokeZone.ie, Benefit and Diet Coke will give away a fabulous makeup pack worth €99 (that's it in the pictures, above). The floral, houndstooth and zebra-print designed cans come with a special code, which you input on the site for your chance to win. You'll find it under the ring pulls, on the back of labels or inside multi-pack cartons of the Get Glam Diet Cokes. Amazing, right? So what are you waiting for? Get glam with Benefit and Diet Coke today! Oooh, I'd love to win one of these...let's see how many cans i can get through!!!! Coool idea - now I'll probably end up drinking more of this yummy stuff. 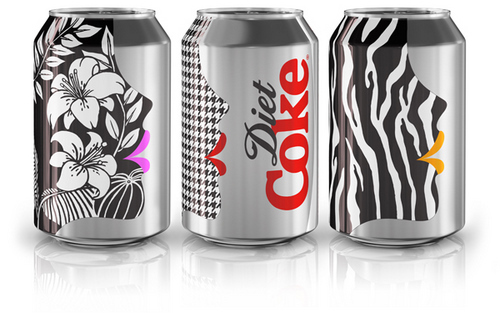 Those diet coke cans are so prettily designed. Too bad this isn't going on the States. Oh I wish I could enter--love the cans and diet coke! Thanks Lucie will check it out! Great tip dear, love it! I´m following you now darling, thanks for visiting my blog! Hope you liked it and follow me too. I want to play in the states. The cans are so pretty.